Ship of Fools: 18th century Anglicanism: Boring, dull and unChristian? Source: (consider it) Thread: 18th century Anglicanism: Boring, dull and unChristian? 2) No one actually believed in Christianity, the deistic movement was all in the rage, God created the universe, but pretty much left everyone alone. 3) Christianity was nothing more than a set of ethics. 4) Poor John and Charles Wesley were hounded out for actually believing something more substantive than 18th century Anglicanism. Now these are rough caricatures, but I'm trying to find any honest information on the Anglican Church between 1662 and the Oxford Movement that doesn't seem to have an axe to grind. both can be had for buttons. I like Cragg, I'm looking at it now. Taken together, those two have a pretty compelling story to tell that is rather more nuanced than AC lore. ‘Good and Proper Men’: Lord Palmerston and the Bench of Bishops – Nigel Scotland suggests that reform was started befoe the Oxford Movement. The Prime Minister appointed mainly evangelical bishops to stamp out livings held in plurality and to introduce more frequent celebrations of the Holy Communion. Except the Wesleys weren't 'hounded out', they both died as members of the Church of England. The Methodists didn't secede from the CofE until after John Wesley's death - although it was pretty inevitable by then that they would. FWIW, I suspect both the Methodists and 19th century Anglican evangelicals as well as Anglo-Catholics painted the 18th century in as bleak a light as possible in order to make their own achievements sound more impressive. Whatever the characteristics of 18th C. Anglicanism, was the C of E unique in having them? How did it compare to the RCC elsewhere in Europe (and Latin America), to Lutheran and Calvinist state churches in Europe, to Christianity in North America in the 1700s before the First Great Awakening? If you'd like a primary source*, have a look at The Diary of an English Country Parson, which is the diary of the Revd James Woodforde. Obviously, it's not guaranteed to be representative of the Church as a whole. Woodforde comes across as a decent, charitable man, reasonably content with the small living his parish gives him, and only marginally interested in going to church. (A standard formula for Sundays is something like "Went to church this morning and read prayers.") It's commonly observed that he spends more time detailing his meals than his church services. I'm rather fond of him. Winston Graham's Poldark novels often include scenes of church life in a poor part of late 18thC Cornwall, and evoke sympathy for the ill-paid, ill-educated, yet mostly conscientious curate, running the parish for an absentee vicar. Local Methodists are made to feel unwelcome at their parish church on account of their enthusiastic hymn-singing! These days I would love to welcome some enthusiastic hymn singers at my church! IIRC, the problem arose because the Methodists were enthusiastically singing hymns whilst waiting for the Squire to turn up for the afternoon service at the parish church. The church choir and band are described, too, as equally enthusiastic in their own way, if somewhat amateurish. 11 years ago, I went to a Sunday morning service in a Church of Ireland church in Cong, Co Mayo. In the grounds of Ashford Castle, it is the church used in the movie The Quiet Man. As a high church worshipper back home I was struck by the lack of vestments and altar candles, and by how the priest didn't elevate the Host. I suppose that it's obvious that the C of I must be as un-Catholic as possible to have a reason to exist. When I discussed it with the priest he said, "we're like the Church of England was before it started flirting with Rome." I always think that the C of E between the Restoration and the Oxford Movement went through its most Protestant phase. Bearing in mind that churches like St Alban the Martyr in Holborn were subject to damage and violence against its clergy for its "popish" practices, it's easy to see that the gradual osmosis of some of the principles of the Oxford Movement into the MOTR C of E whereby vestments and elevation would be considered the norm nowadays that the Movement's desire to get the C of E to reconnect with its Catholic roots had some measure of success albeit limited. To claim that before then it was unChristian is probably a bit harsh. Anywhere where Christ is worshipped in truth is Christian, but to me it would have been limited and certainly dull. I've read that the supposed religious laxity of 18th c. Anglicanism was a reaction against the religious fanaticism of the 17th c. I'm sure there are arguments for and against that view. Yet it's clear that the 18th c. was a time of great religious diversity and energy. The Nonconformists in particular were on a roll. It makes sense to ask why that would be the case if the CofE as an institution was providing for every spiritual need that an honest Englishman might have. The reasons are probably as much structural and organisational as religious. After all, I doubt that deism had much impact beyond a small elite of educated men. The inability of the CofE to respond rapidly to population growth and movement, or to the expansion and ambitions of the upper working classes must have been just as significant, if not more so. But from a modern, tolerant CofE perspective, it's surely distasteful to criticise self-proclaimed Anglicans for what might be their unorthodox beliefs. Inclusivity means accepting all of that. UnPopish not UnCatholic, I suspect. Must admit I've never been to a CofI service but something I heard years ago from an Irish cleric, then an evangelical CofE vicar, sticks in the mind: the CofI is high in theology, low in practice. Which kind of makes sense- on the one hand, ceding nothing to Rome in its claim to be authentically catholic, on the other, distinct from Rome in its worship. As for Stonespring's question about the Continental churches, George Guiver's 'Vision upon Vision'- now available for £3 which is a real bargain- has some very interesting stuff on C17 and C18 liturgical reforms in France, Germany and IIRC Italy. I think it would have been interesting to go to a Cathedral before they installed the big organs. Didn't someone say here that they used to have minstrels playing from the gallery (or maybe I made that up, or heard it somewhere else)? Samuel Johnson was an Anglican who had a deep spirituality. He read William Law's Serious Call to a Devout and Holy Life which is a classic; although as Law resigned rather than swear allegiance to the Hanoverians perhaps Law doesn't count. West gallery choirs were common in parish churches - not sure if they had them in cathedrals (by the 18th C, organs would have been well-established in cathedrals, though the latter would doubtless also have had other musicians, singers, and 'clerkes'). ISTM that the lengthy 18th C Anglican services (Matins, Litany, Ante-Communion etc.) must have been much enlivened by such music. To answer Stonespring, and be somewhat tangential, the CofE was not unique in the 18thC. from the Reformation to today, there have been broad styles or fashions of worship. There was, broadly speaking, an influence of rationalism in the 18thC churches. An excellent book on this is Joel Saugnieux's Le jensenisme espagnol du XVIIIeme siecle, ses composantes et ses sources (1975)*, which details the influence of enlightenment thought and the competition between Franciscans and Dominicans. Unfortunately, I think that it is still available only in French, and I assume out of print. I've always placed the Oxford Movement in the broader context of the 19thC Romantic reaction, ergo, hostile to 18thC rationalism and its influences. I have noted a persistence of that, at least vestigially, amongst some of the living ACs. 1. 1660-1860 is 200 years. That was not a monochrome era. There was a lot of change during that period, far more than people tend to assume. Each block of 50 years in that period has a different character. Only the last 50-60 years can really be described as evangelical in the C19-20 sense. 2. The Oxford Movement was grossly unfair to the piety of their parents and grandparents, in very much the same way as some Renewal people present Church History as a blank period of lukewarm infidelity that lasted from AD 100 until they came along somewhere around 1970. If the C18 had been such an age of infidelity, why would there be so many dusty and to us unreadable leather bound collections of sermons from that era by people we have all now forgotten? In the eighteenth century, Cathedrals were more likely to have organs than parish churches, though by modern standards, they would not have been very loud. They would have had tracker actions (i.e. mechanical) and would have had to have been pumped manually. They also had choirs. The Three Choirs festival goes back to the early C18. Most parish churches, though, would not have had organs until the bigger civic ones began to install them in the late part of that century. From the late C17, most parish churches had bands - of varying skill. There has been quite a lot of research in recent years on their repertoire and style of playing. There was a massive output of music for them to play and sing during the C18. It is right, though, that early C19 bands and choirs frequently played and sang from a gallery at the back of the church. Some galleries still exist. As a high church worshipper back home I was struck by the lack of vestments and altar candles, and by how the priest didn't elevate the Host. I suppose that it's obvious that the C of I must be as un-Catholic as possible to have a reason to exist. I understand that here in the US, Episcopal churches in historically black communities tend to be Anglo-Catholic. It's the opposite direction from what you describe but has the same effect of standing out from the surrounding milieu (in this case Evangelical/Pentecostal). Looks fascinating, but before the eyebrows of shipmates from Sydney and thereabouts hit the ceiling, may I suggest that there may be a typo there? jansenisme/ Jansenism rather that jensenisme/ Jensenism? Quite so, Albertus. Careless of me. Not to derail things, but why would Sydney people care? He: Well, that's a bit boring, isn't it? I: I don't think so. He: Well, they're rather all the same. I: But you've read them? Not the 18th century, but early 19th: Lord Melbourne, possibly when Victoria's prime minster (so around 1837-1840) but possibly also somewhat earlier, was a man of notably immoral (sexually) life. He is reported to have commented as public (sexual) morality began to take hold that "things have come to a pretty pass when a man's religion begins to interfere with his private life". He was otherwise known as a sensible ordinary -- if not particularly devout - member of the CofE as is existed in the late 18th, early 19th century. Society tended to be concerned with the outward appearance of behaviour, not with what people thought or believed. "While I cannot be regarded as a pillar, I must be regarded as a buttress of the church, because I support it from the outside." is attributed to Lord Melbourne. I'm not a Sydneysider, but look up Peter Jensen (former Archbishop of Sydney) for an explanation of what "Jensenism" means. Or look up Sydney Anglicanism in general (which has exceptions, I know). Basically it means being super low-church, evangelical, conservative on dead horses, even supportive of laypeople presiding at communion (because he thinks there's no superstitious magic that requires a person to be ordained to do this, etc). A real Aussie (rather than the American spouse of one) can explain it better than I can. Sydney has traditionally been a low church diocese. It need not have been, and showed signs of following both the original Oxford Movement under the influence of Bp Broughton. Unfortunately, 2 of the priests who came here to foster this development converted to Rome and there was a great counter-action. The strong influence of the Church of Ireland showed in such matters as the strict use of the 1662 BCP, the liturgical patterns of C18 England, and Calvinist preaching. The usual vesting for clergy was cassock, surplice and scarf. If you looked for a spiritual ancestor, Abp Ussher's name would have to be towards the top. Under the Jensens and the Moore College group, there has been a major shift since the 1970s. There is a much diminished use of AAPB (the successor to the BCP) and little of APBA (the successor to that). Instead, a short prayerbook put together under the Jensens is the basis for many services. It is very light on thought and theology. Many conservative practices have been continued,. Women are not ordained to the priesthood, and there are restrictions on those ordained in other dioceses. If the priest wants an element of formality, he may wear a tie, with extremely limited use of even basic vestments. The theology is extremely fundamentalist. The spiritual descent of the Moore College group is nothing remotely Anglican. Rather, its home is best seen in the Puritanism of mid-C17 England, a sect which had at its core the elimination of Anglicanism. Not the 18th century, but early 19th: Lord Melbourne, possibly when Victoria's prime minster (so around 1837-1840) but possibly also somewhat earlier, was a man of notably immoral (sexually) life. He is reported to have commented as public (sexual) morality began to take hold that "things have come to a pretty pass when a man's religion begins to interfere with his private life"
I could cope with the city in which I live being named after someone whose sexual immorality involved only consenting adults, but Melbourne also had a proclivity for acting out flagellatory fantasies on helpless children whom he fostered for this purpose. Johnson admired Wesley and the Methodists, and his soteriology was certainly evangelical. Johnson's last doctor, Brocklesby, told Boswell:"For some time before his death, all his fears were calmed and absorbed by the prevalence of his faith, and his trust in the merits and propitiation of Jesus Christ. He talked to me often about the necessity of faith in the sacrifice of Jesus, as necessary beyond all good works whatsoever for the salvation of mankind". Johnson's being an Anglican was closely tied to his being a Tory (in the real sense of the word, and not, as now, a mere synonym for "someone I dislike or disagree with"), though his Toryism did not prevent his admiration for, and friendship with, the Whig Edmund Burke. It's interesting Gee D that from what you say, it sounds as though for about 175 years, the Diocese of Sidney, despite attempts to shift it in different directions, adhered to the form of Anglicanism prevalent at the time of First Settlement, replicating the CofE as Jane Austen would have known it. As you describe it, recently it has shifted in a different direction, but in terms of distance from where it started, rather than where you'd prefer it had started, it sounds as though it has not moved as far as it would have done if it had gone up the candle in the way dioceses have done elsewhere in the Empire that were established under the influence of say the UMCA in the late C19. Your phrase 'elimination of Anglicanism' does, though, require one to buy into a particular mid C20 rather than late C18 picture of what Anglicanism is supposed to be. First of all, it assumes that the Puritans, who lost in 1660, are not part of Anglican history. Second, what would a loyal member of the Church of England who suddenly found himself projected from 1788 to 2017 recognise as 'anglican' about the sort of parish life you'd probably commend as being truer to the 'anglican' tradition? She might or might not actually like it - who can say? - but to Jane Austen, it would probably appear rampantly papistical. Third, and I can't answer this question, is it an issue that the church in Australia should be more specifically Australian? If so, is there any particular reason why it should prefer as its model the prevailing practices in the old country in 1788, 1855, 1901, 1931, 1986 or when? ... but Melbourne also had a proclivity for acting out flagellatory fantasies on helpless children whom he fostered for this purpose. This is often asserted these days, but what is the evidence for it and how reliable is it? Would the men really have kept their hats on? Magnificent - especially the final note in the tenors! The first comment is that Sydney is but one of the dioceses in the Anglican Church here. Most others are generally High to A-C, Melbourne differing in that it has a broad spread. Next, this is an Australian church and no longer a a transplant. The country, too, is very different to what you call "the old country" - a description that had disappeared here save sardonically by the early 1960s. The answer to your last question therefore is that the church ought reflect what the country is from time to time and not what it may have been in another place. Puritanism is a part of Anglican history to the extent that the Puritans sought to abolish the C of E. I'm not sure quite what you mean by parish life, but my impression from this board and from frequent visits to the UK is that parish life here is probably much closer to that of TEC or the Canadian church than to that in England. Back to your first paragraph. I think it's a great pity that Sydney did not move up the candle as did other dioceses but that's not what I'm talking about. In churchmanship terms it stayed pretty constant as a predominantly low church diocese until the 1980s. The ascension of the Moore College group to being the largest single one after then has made references to a place on the candle irrelevant. They seek to create an entirely new church. Thank you for all that extra background. However, I'd still like to take issue with the statement that the Puritans sought to abolish the CofE. 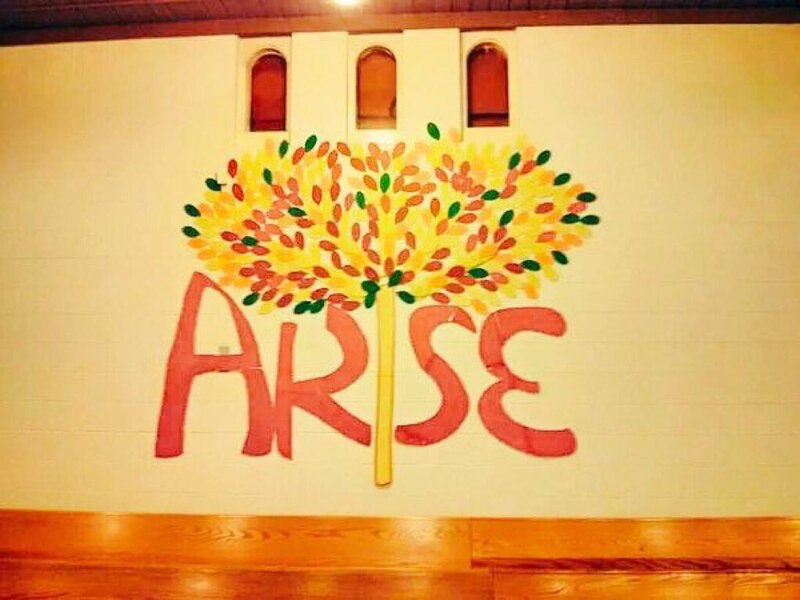 The argument was much more about what sort of church the CofE was going to be. They wanted it to move further in a Protestant direction, more towards what the Church of Scotland is like. If they had won, it would still have been the CofE, just not the sort of CofE that there has been since Queen Anne acceded in 1702. A priest of our acquaintance, who was ordained at the same time as the brothers Jensen reported that, at their ordination retreat, Marcus Loane the then Archbishop of Sydney asked them why they were seeking Anglican ordination when their personal theology was more suited to the Baptist Church. I grew up in a low-church Sydney Anglican parish in the late 50's and early 60's and can attest to the cassock, surplice and scarf as the mode of liturgical dress. As I entered my teens, and with a change of incumbent, the tone of the parish became much more conservative, even rigid. I stepped away, abandoning confirmation preparation, and did not return to regular worship for over twenty years, being confirmed within the Diocese of Newcastle in my late 30's. I find the middle-to-high ambience of our country parish much more welcoming and imbued with the Great Commandments. I don't think anything in your quote is specifically evangelical. The ancestor of the modern Conservative and Unionist Party in the UK arose with the ancestor of the modern Liberal Party from a split within the Whigs. I'd always been of the impression that Johnson favoured the Moral Influence theory of the atonement. The form of words Kaplan quotes sounds quite evangelical, but it could have been meant in a broadly Protestant way, like the formularies found in wills of that period and earlier. 1. Poor hymn choice - inappropriate musical style for largest group in congregation or pitch set too high or low. (c) a written accompaniment which differs greatly from the expected sung melody. 3. Choir either non-existent or in the wrong place: the traditional arrangement of choir in a chancel facing down the church can be intimidating; and if a nave altar sits between the choir and congregation it may be that little or no choral sound penetrates to the congregation. 1. If the organist or priest can't tackle this get advice from somewhere like the RSCM. (c) play the melody so the congregation have a fighting chance of getting it right. 3. Work with your choir to improve performance, and have all hymns/songs with a unison first verse so that congregation aren't left floundering. If geography is the problem, move the choir to sit at the back of the congregation. The church my Old Mum used to go to had no gallery, at least in its latter years (it did have one once-upon-a-time, I think), but the choir was nevertheless sensibly placed at the west end of the (quite short) nave. In any case, the chancel (IIRC) was reserved for the local Squire and his family, even into the 1960s. I remember attending BCP Mattins there one Sunday morning, a few years before the church was laid aside (it's now looked after by the Churches Conservation Trust), but I don't think we had any metrical psalms or 18th C hymns (or an 18th C sermon, either - the officiant habitually praught for only 5-10 minutes). Otherwise, the general atmosphere of the church and service was probably not that much different from, say, a century before. Worth a visit, if you're in the bottom right-hand corner of Ukland. 1662 BCP services and Hardy-esque quires seem just right in these settings. Most are still open for regular (if not necessarily weekly) worship. GeeD - I really do think Enoch has it right on the puritans. Their programme, and hence their name, was to purify the church (i.e. the CofE), not to abolish it. Those who gave up on the CofE often emigrated - the desire to establish a pure church was a driving force amongst the early emigrants to America, whilst those who persisted remained. Indeed the latter were regnant during the Cromwellian era. Subsequent to the restoration, those who could not cope left - or more accurately, in many cases were ejected - a situation regularised by the Act of Toleration (1689). That doesn't make them Anglican, any more than those who tried to return the CofE to Rome were Anglican. An Anglican is a communicant member of a church in the Anglican communion regardless of what they think their church should be like. I used to think that the word 'Anglican' had some more normative meaning. I've realised that's basically a No True Scottish Episcopalian argument for political ends (even if I still largely agree with some of the political ends it supports). Some organists aren't interested in making it easier for the congregation to sing. They are intent on giving a virtuoso performance. I once belonged to a church that had such an organist. From my point of view, the worst thing he did was not provide a melody line in the next to the last verse of a hymn. At the later service, this was not so much of a problem because there was a choir and because people were more awake. At the early service, it was a disaster. One Sunday we heard a reading about the bad shepherd deserting the sheep and the sheep being scattered. When the organist did his usual thing on the next to the last verse of the following hymn, the thought crossed my mind, "The sheep are scattered." And the Puritans were not members of churches in the Anglican Communion because, at the time, it didn't exist. I don't see how you can be an Anglican and, for example, reject episcopacy. Those that left - either for America or for independent "non-conforming" churches self-evidently were not (or were no longer) Anglicans. Those who stayed on were. Beyond that, I can't see how you can avoid some sort of "no true Anglican" fallacy, as Dafyd says. The argument was much more about what sort of church the CofE was going to be. They wanted it to move further in a Protestant direction, more towards what the Church of Scotland is like. If they had won, it would still have been the CofE, just not the sort of C of E that there has been since Queen Anne acceded in 1702. During the Commonwealth, virtually any for of Christian worship was permitted. The great exception was the BCP previously in place. The worship form for 90%+ of the population was banned. Even someone as opposed to the Laudian movement as ++Ussher needed protection from the Parliamentarians. As an aside, Charles I was denied access to a priest of his choice during his imprisonment and went to the scaffold being scolded by the Puritan clergyman chosen for the purpose by Cromwell. I agree that the C of E was not disestablished under the Commonwealth. Had the Restoration not occurred, a church by that name would have remained in place but that would not have been a church recognisable as a continuation of that under any previous Supreme Governor since Henry VIII. Nor for that matter would it have been similar in either theology or structure to the Church of Scotland. That was a Calvinist establishment; the Puritans were much closer to Zwingli. So I stick with what I've said. Wedgwood's books The King's Peace and The King's War are top quality background reading, even if now themselves old, but neither is exactly short. Trevor-Roper wrote some excellent essays compiled into a small volume called Catholics, Anglicans and Puritans which is dense reading but much shorter. I think, Arethosemyfeet, that's the problem with this 'no true Anglican' argument. You are categorising people of the early to mid C17 according to a redefinition that took place, if at all, 150-200+ years after they had died. In the C17 century, almost everybody was arguing for a comprehensive church, a Church of England to which everyone belonged. Virtually none of them would even have wanted to conceive of an ecclesia anglicana on any other basis. What they disagreed on, was what fences those in charge should be able to impose on everyone else. They didn't, by and large, regard these fences as a matter of preference, so much as what God required of the true church. They just disagreed as to which fences God required, and which he forbade. The notion of an 'Anglicanism' which is a matter of spiritual preferences, whether it was defining something they would have agreed with or disagreed with would be deeply alien to anyone in the C17 century. So to exclude the Puritans from one's understanding of what Anglicanism is supposed to mean, because by the time that concept developed they had been excluded, is a profoundly unhistorical way of looking at one's tradition. And if what one is discussing is a 'tradition' excluding those from the tradition on the basis of what happened after they were dead, is incompatible with the concept of a 'tradition'. I find the middle-to-high ambience of our country parish much more welcoming and imbued with the Great Commandments. Thanks for that story, I like it. As to your parish - if only! I know all the Newcastle problems you're talking of and more, but at the parish level, life is very comforting and supportive. It would not take much longer for us to drive on a Sunday morning to Gosford than it does to St Sanity, but our parish involvement would be very limited. And while we like what we know of Fr Rod's politics, we've heard that his liturgy is a bit towards the charismatic end. A.N. Wilson's 2014 biography of Queen Victoria refers to it, quoting L.G. Mitchell's 1997 biography of Melbourne, which in turn quotes from a primary source in the form of a letter written as an adult by one of the girls whom Melbourne abused.